Spend a delightful evening cruising along the canals of Venice on this private boat tour. Take in the architectural masterpieces that line the Grand Canal and smaller waterways from aboard a comfortable modern water taxi, venturing further than a traditional gondola would allow. Learn about the artistic and cultural history of Venice from your English-speaking guide as you soak in the sights on your choice of a 1-hour or 2-hour ride. Muitos dos locais mais impressionantes de Veneza podem ser vistos da água, da glória bizantina das igrejas ornamentadas à intrincada grandeza dos palácios góticos. Mergulhe na incrível arquitetura da cidade a bordo de uma lancha particular, que pode cobrir mais distância do que um clássico passeio de gôndola. Encontre seu guia no centro de Veneza no início da noite e suba a bordo de um confortável e espaçoso táxi aquático. Navegue pelo Grande Canal passando pelos magníficos palácios, igrejas e casas que cercam essa via principal, enquanto aprende sobre a arquitetura diversificada que você vê. Admire os grandes palácios, como Ca 'Rezzonico, Ca d'Oro e Ca' Foscari, enquanto ouve histórias da nobreza veneziana que os chamaram de lar. Passe sob a icônica Ponte Rialto, que marca o coração do distrito comercial da cidade. Seu cruzeiro retorna ao longo do Canal Giudecca para visitar pontos turísticos como a basílica Il Rendentore e a ilha de San Giorgio Maggiore com sua impressionante catedral. Desfrute da atenção personalizada do seu guia que fala inglês e sinta-se à vontade para fazer perguntas sobre qualquer aspecto de Veneza que lhe interesse. Escolha entre três horários diferentes de partida à noite e selecione uma excursão de 1 ou 2 horas para se adequar à sua programação. No final da excursão, você será levado de volta ao centro de Veneza, onde poderá continuar a explorar a cidade por conta própria. Por favor, note que é necessário um mínimo de duas pessoas por reserva. Our guide was friendly, informative and spoke perfect English. I wish we had chosen the longer tour we took the shorter of the two options! I wasn't sure our group would have the attention span or endurance for it we had a 9 year old and 2 senior citizens but the time seemed to pass so quickly, and there is so much to see! This was a fantastic way to see Venice. Think we went into every canal, large and small. Our guide, Julianna not sure name was so knowledgeable and we enjoyed every minute of the tour. The lights came on after dusk, and it was like a fairy tale. Would recommend this tour for everyone. Thanks so much for an experience we will always remember. 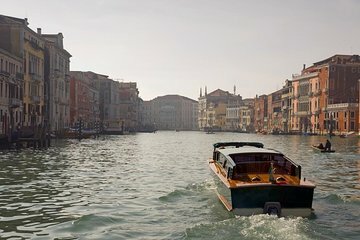 Muy interesante e impactante poder ver a Venecia desde el agua, es otra. La guía tenía un conocimiento exhaustivo de la ciudad y su historia. This was only an hour but what a wonderful hour! It was pricey since it was a private tour but definitely worth the money! Our guide was born and raised in Venice and was very nice. He was a wealth of information about Venice and helped us understand the geography and history of the city. He was able to balance giving us information with letting us take it all in on our own. The Private Grand Canal Boat Tour was certainly not Grand as the the tour was entitled. The actual boat provided was a narrow covered boat with a small open seating area the rear, which was a tight fit for just four of us all small/medium framed and therefore, it not allow any room to take any meaningful photographs as there is no room to manoeuvre. In fact, the actual boat is a complete misrepresentation by the Tour writeup and its accompanying photograph. If the tour writeup was accompanied by the photograph of the actual type of boat, I would not have bought the tour for myself and family. Hence, it is not surprising that there is certainly the strong sour taste of being misled. Furthermore, an hour prior to the tour, I had called the given telephone number to check on the specific location of the meeting place for the tour but I was given incorrect information to wait at the esplanade where there is a wooden booth in front of a flower garden to turn right of St Mark's Square, along the walkway by the waters. We had almost missed the tour completely as we had to rushed frantically to find the right meeting place after being advised by some people at the wooden booth. However, the guide was knowledgeable and provided adequate commentary on the tour.  Our rating would be a one-star rating and this is just for the guide of the tour only, and, for the Tour Company, its administration and logistics of the tour, our rating is a zero-rating. Our guide met us near the Grand Canal and walked us to our water taxi for a one hour tour along the Canal. We had just arrived that morning so were still adjusting to the new time zone and little sleep on the flight over, but she was very informative without being dull in any way. 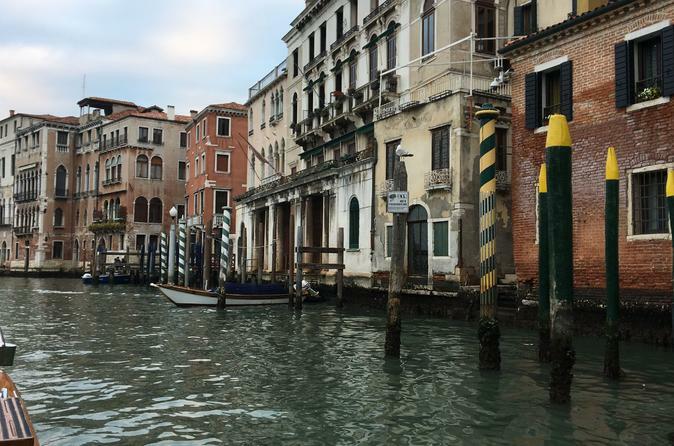 We went along the Grand Canal as well as along some of the quieter canals, and into the Lagoon as well. All in all, a great way to spend a late afternoon hour and a good introduction to Venice. Great tour. We did this our first night in Venice. We arrived in the late afternoon. This tour was the perfect way to get acclimated to the city. Our guide, Claudia was amazing! Una vuelta fantástica por el gran canal atendiendo a las explicaciones de nuestra guía Federica,guapa,simpática y dándonos detalles de la historia de Venecia. Me parece muy recomendable y buena relación calidad precio.Vale la pena. Great way to see Venice and learn a lot more than with a group.